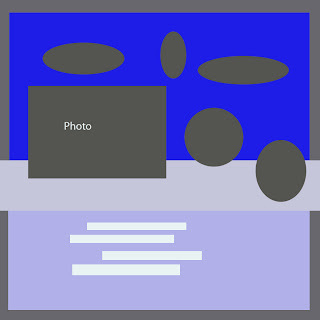 Rebecca's challenge on the forum this month was to mix it up in terms of photo effects! I just love this layout that Lynnette uploaded using both a color and black and white photo... love the look! And what gorgeous photos! Thanks for sharing it with us Lynnette! So how has January treated you thus far??? I've got a treat for you this Fabulous Friday; it's a Blueprint Challenge from the lovely Stephanie. And here is Stephanie's awesome interpretation! 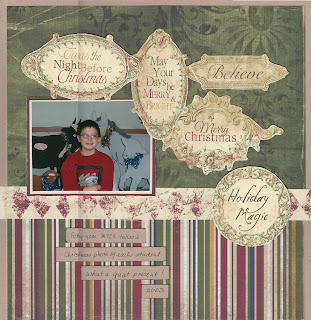 Ruby has done some AMAZING work with the January SSZ kit!!! These photos of her gorgeous granddaughter are the perfect match to the latest kit products! Thanks for sharing Ruby, beautiful work! How is everyone on this Fabulous Friday??? I personally am glad the week is wrapping up and have planned some much need scrapping time this weekend. To kick start my scrapping, I am going to tackle Laurel's Anything But challenge. Take a look below for the details! Hi there, Laurel here. This week the theme is Anything But. I love the anything but challenges, it gets me out of my scrapbooking/card making box to try something new or different. 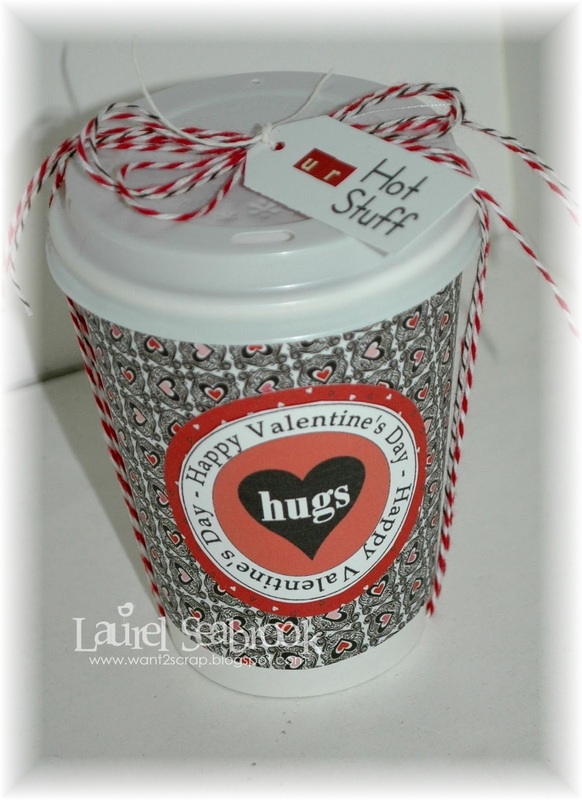 This week I have used some of the Bo Bunny Crush papers to cover a 'to go' coffee cup. I purchased some of these at our Dollar Store, cut one down to use as a template and voila, quick and easy! I have filled this with some yummy cinnamon hearts and willl surprise hubby with it on Valentine's Day. I challenge you to see what you can come up with and make a quick and easy gift for someone. Thank you Laurel for this awesome challenge! I see 56 of these in miniature form in the very near future! My daughters are looking for something fun and interesting to make for their friends at school! Hi! 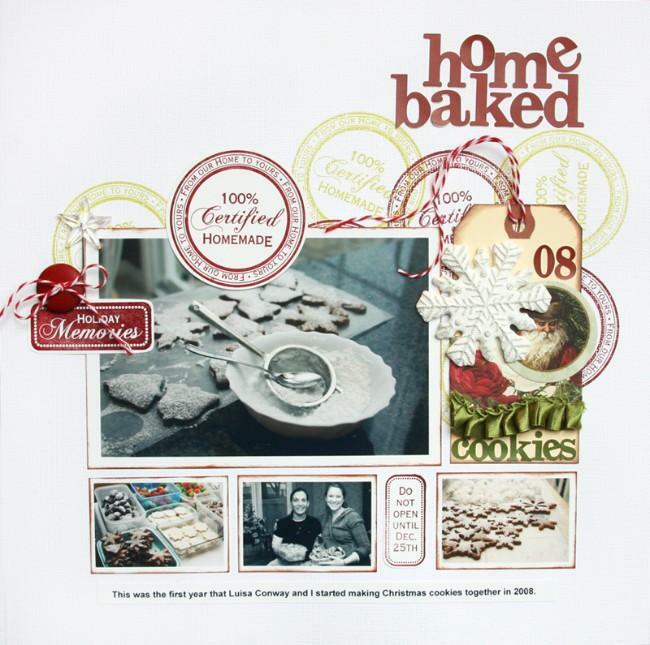 My name is Charlotte and I'm a fairly new member of ScrapShotz! I'm really excited to be your Roving Reporter today! Like many of you, I'm always interested in scrapbook organization. I keep looking at different scraprooms, trying to get some ideas on how to organize my growing amount of stuff! Some, ( like my darling husband) might say that I just need to get rid of some of it and I wouldn't have this problem! LOL! I'm not sure quite what he's getting at! Everyone knows I NEED all that stuff! Today, I thought I'd share with you how I'm presently organizing and storing all my precious materials! Here is a broad look at my room. I am lucky enough to have the den as my entire space. On the right hand side is my desk that has my computer, printer and scanner on it. It's a fairly small room, but I've managed to get 2 tables in here. These containers sit on top of one of my tables. I have the drawers filled in themes of Seasons and some of the major holidays that I have alot of material for, like Christmas. The one on the left holds all my scraps of cardstock organized by color. The one on the right has all my stamping material in it. My favourite way of storing my scissors and punches is in this shoe holder that goes over the door. I can easily see what I'm looking for this way. I found this really great holder in the kitchen department. I'm not sure what it's real purpose is, but it hold jars of flowers really great! My collection of ribbon is sorted out in old, zippered drapery bags that I kept and then housed in baskets. My husband made me these shelves that hold my cardstock. All the slots are 12X12 and are just perfect for organizing by color. I also have one of these sitting underneath my table, but had to clear out most of the shelves because my grandson kept pulling things off! One day, I'll restock them! I purchased 2 of these containers from the hardware store. They are just great for holding all small items like buttons, brads and metal embellishments. This wonderful item sits on my desk and holds all the things that I use daily like adhesives, pens, tools, etc. Well, that is, when they aren't sitting all over the top of my desk! It would also be great for people who go to crops often. You can just grab the whole thing and go! These crates, I got from Staples along with some hanging file folders. There's another one sitting on the floor. I keep themes in one of them and in the other two I have my patterned paper all sorted out by manufacturer. They are sitting on some rolling carts with drawers that keep things like letter stickers, chipboard pieces and all kinds of other odds and ends. Up above, you can see a bulletin board. I cut all the boxes from my Slice machine cartidges and hung them up here so that at a glance, I can see which one I want to use. Last, this is a photo of my closet. DH made shelves in here so that I can keep albums, books and other things. Well, I hope you've enjoyed this little tour of my space and perhaps even gotten an idea or two! I'd love for you to share any great ideas you have for storing materials as well. I'm constantly organizing and then re-organizing when I find a better solution! Laurel challenged us to create a home decor item this month and I just had to share this one posted by Rebecca... isn't it a beauty??? We'd love to see what you've created to beautify your space too! Today we have a wonderful Fabulous Friday Inspired By challenge for everyone from the lovely Ruby Marchand. 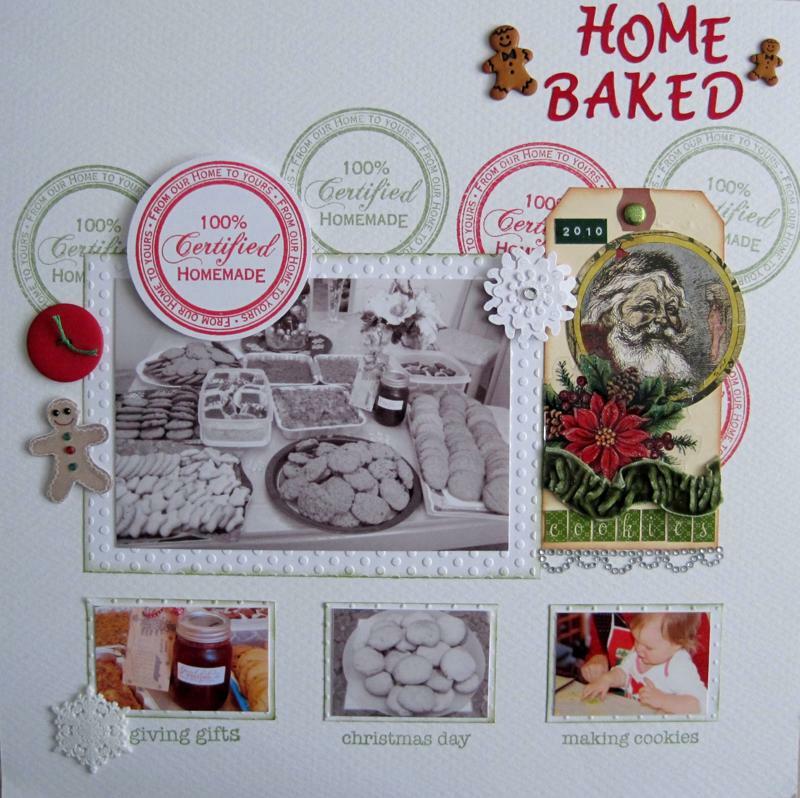 Ruby's inspiration was this layout from Unity Stamps designer, Lesley Langdon. 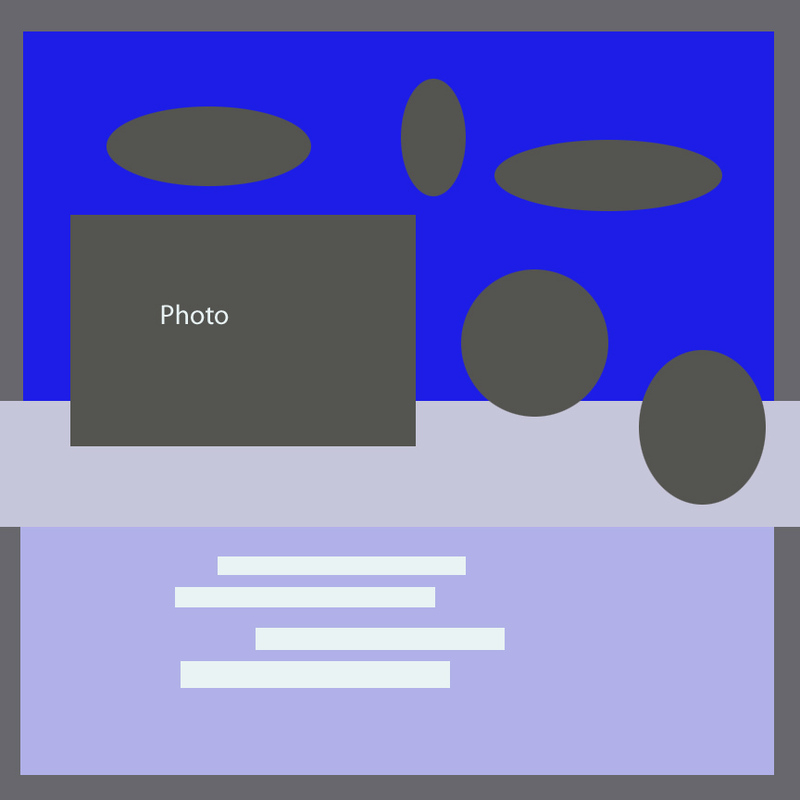 Here is Ruby's interpretation of the inspiration piece. I think you will agree that it is equally stunning. How will you be inspired by Ruby's challenge? I would love to see your projects. 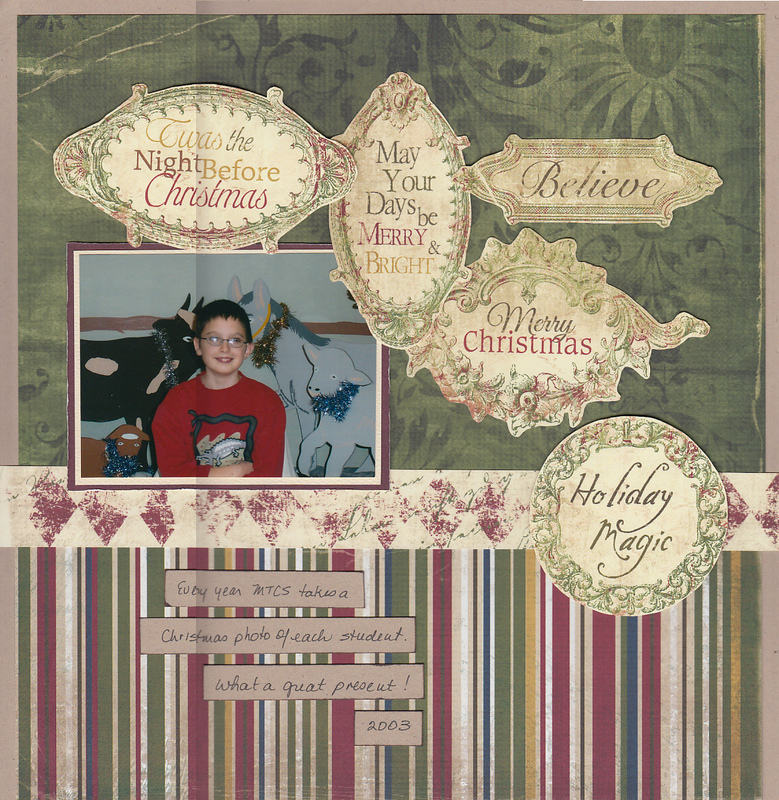 Here is Ruby's December layout... gorgeous work Ruby!